Chicago as viewed from the private club on the top floor of the Aon Center. This is an indoor tour overlooking the city below. 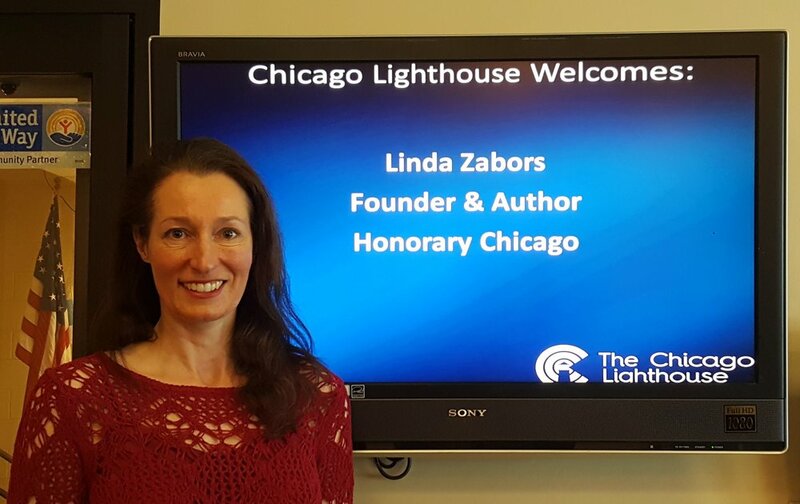 The Honorary Chicago Guidebook and series are printed in the United States in large print for the enjoyment of the visually impaired and the comfort of all readers. The Chicagoland Radio Information Service (CRIS Radio) is located at the Chicago Lighthouse for the Blind. It is a public service which provides daily news read on-air for the benefit of the vision impaired. Ruth Fairfax Frazier is the founder of the FAACT organization and hosts a daily broadcast on CRIS radio. The interview can be found on the Lighthouse for the Blind website. 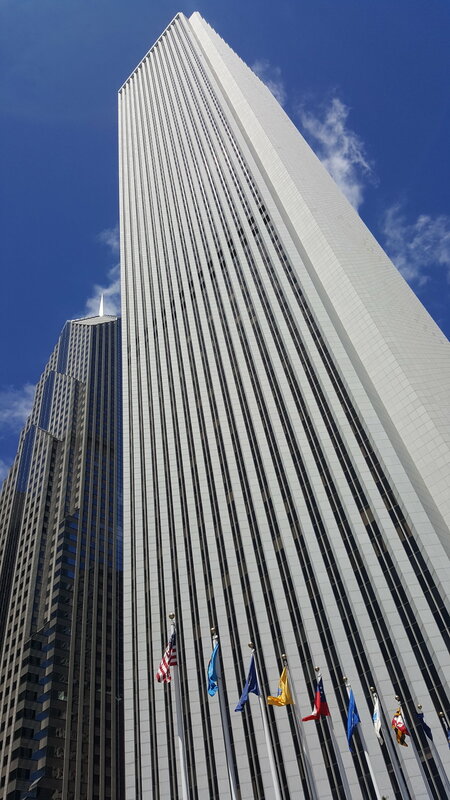 Honorary Chicago presents a tour of State Street for the Chicago History Museum - Chicago 24 event on May 14th. Their names are on brown honorary signs all over Chicago - but did you know that many of them also served in the United States military? Here are a few of the honorees and their branches of service. Click the map markers to learn more. Thanks to everyone who joined me on the first Honorary Chicago - North Halsted Pride Parade eve walking tour of the brown honorary street signs and Legacy Walk. See you at the Parade! 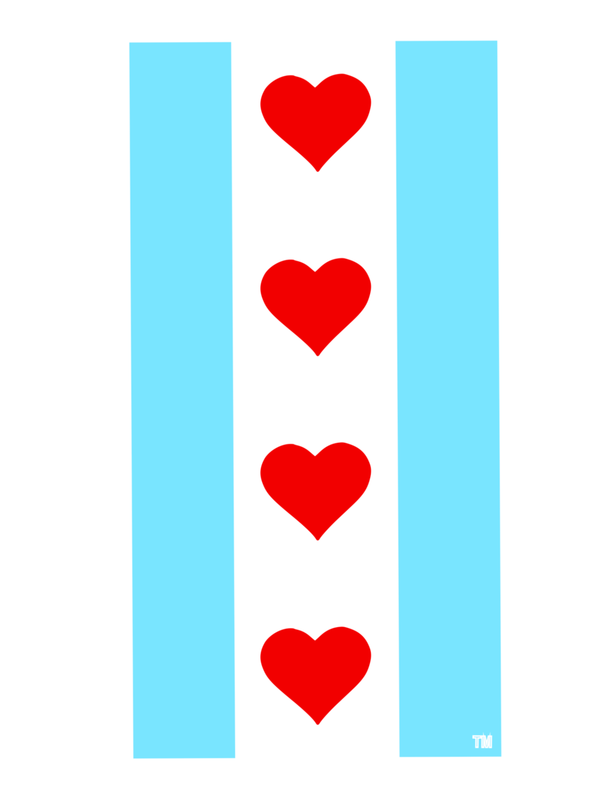 Temporary tattoo designed for the 2015 Pride Parade by Honorary Chicago. Limited edition t-shirts available at local stores. Join us for our newest walking tour on Saturday, June 27th at North Halsted and Cornelia. Honorary Chicago tells you the who, where, and why of Chicago's brown honorary street signs along the Pride Parade route and the fascinating stories of The Legacy Walk. Look for the Honorary Chicago Tour Flag. There is no cost for the tour. T-shirts, books, and other gifts will be available for purchase. The who, where, and why of Chicago's brown honorary street signs and other city commemorations. If you are passing by any of these Chicago honorary streets (the ones with the brown signs) give a salute in honor of Veterans Day. Corporal John Thomas Olson U.S.M.C. Copyright 2014, Logos and Trademarks of Zeta Enterprises, Inc. All rights reserved.